Skills and abilities: Like all Nubians, Nimrod is an immortal. He is a smart and wise ruler who has mastered nearly every weapon & fighting style on the planet. Powers: Possesses superhuman strength, senses, speed, reflexes, stamina, agility and durability. 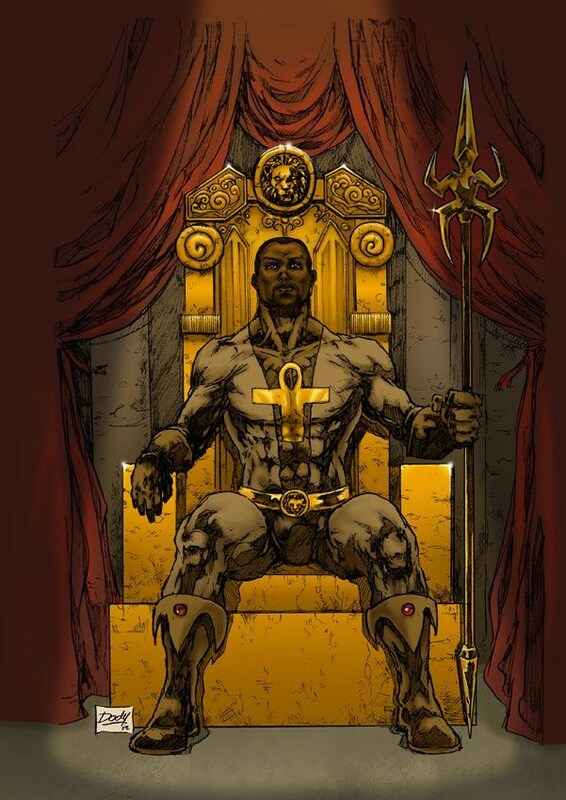 Nimrod is the ruler of The Nubians (a hidden race of immortals who reside in the quasi, other-dimensional African kingdom of Kush). He is considered one of the world’s deadliest combatants.